Three methods of course delivery used: 1) doubt based 2) real project based 3) book based (or combo). Course is based on three books, which are given below. These are the most famous books and have several exercises and discussions available online. Do you need a Programming Tutor that gets you things automated? An introduction to the basic concepts of Python. Learn how to use Python both interactively and through a script. Create your first variables and acquaint yourself with Python’s basic data types. To leverage the code that brilliant Python developers have written, you’ll learn about using functions, methods and packages. This will help you to reduce the amount of code you need to solve challenging problems! NumPy is a Python package to efficiently do data science. Learn to work with the NumPy array, a faster and more powerful alternative to the list, and take your first steps in data exploration. Learn AWS Amazon Web Services to run analytics on Ubuntu using Python Anaconda on the cloud. Experienced tutor available in Manhattan. Learn Scala for basic implementation on Ubuntu AWS – makes you ready for the job market! Another variation of this course could be built on “automate the boring stuff with python” where the learner would learn with his data and work projects on how to automate office stuff. We are a group of python automation consultant in Manhattan New York working remotely from India and onsite. 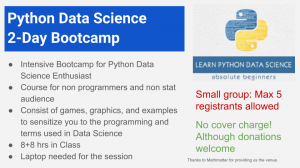 Although this course is based is more focused on Machine Learning. Please email info@qcfinance.in to know more information. 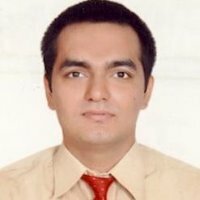 From Hyderabad, India and is having six years of experience in the IT industry in the domain of BFSI(US Home loan mortgages, credit cards,investment banking).Having completed an executive program in applied Finance from a premier institute in India called IIM Calcutta,I am currently working as a freelancer in the field of quant finance in the sense that I take online classes on VBA, R, on various topics in quantitative finance like derivatives pricing, time series, bayesian modeling, econometric modeling, credit risk using logistic regression,ordinal and multivariate regression, technical analysis of stocks,accounting which includes business valuation,M &A, project finance,interest rate derivatives,trading strategies,financial time series,data visualisation etc, I have a bachelors in engineering(Industrial Engineering and Management) as the base degree.